Maguire has to new family member and it may cause he putting more time on his family. He did not do so well since he reached and lost in Welsh Open in February. 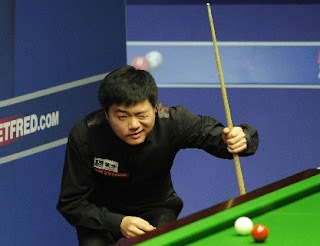 He had a early exit in China Open and does not do well in the Crucible too. 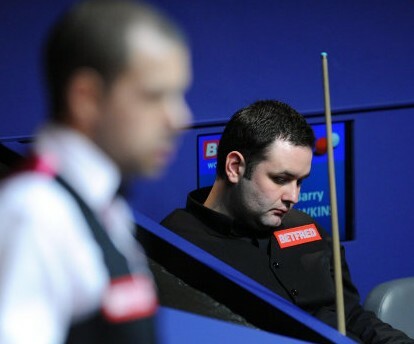 He struggles in the first session when Hawkins is playing good snooker. Maguire is 3-6 behind Hawkins at the end of first session. Maguire wins the first frame of the session but Hawkins takes the following two frames to lead 8-4. Maguire seems to be back in the match . He goes 8-8 with couples of 50+. Hawkins does not hesitate and win the seventeenth frame with 62. Maguire forces a decider, 9-9. It is the first decider in the tournament. Finally Hawkins wins 10-9 with 9-2. Well done Hawkins :-) He plays Mark Allen/Matthew Stevens in the next round.